BULLET is the next Anita Blake, Vampire Hunter novel #18 releasing June 2010! But according to author Laurell K. Hamilton, Anita couldn’t wait til then and started FLIRTing for her own little novella (like Micah) which will release February 2, 2010. Thanks Anita! we’ll enjoy the Tease! And December 8th we can read a full course meal from Meredith “Merry” Gentry as she and her men solve a mystery! uh, between their “escapades” that is! Here is the full post on Laurell’s blog posted November 9, 2009. Flirt that comes out February 2nd 2010, is an Anita Blake novel, but its a surprise book. I got the initial idea, and it was a new idea for Anita. Now I get ideas for Anita all the time, but ideas that become books usually take months, or years to make their way to the front of the que of novel ideas. This idea hit me and I was writing it as a novel only two weeks, or so later. Very unusual for me. The last time something close to this happened it was the book Micah, but I still to this day can’t tell you where that idea came from. So the seed of the idea must have been incubating for months, or years, before it burst onto my subconscious, and then hit my conscious mind right between the eyes. Flirt wrote as quickly as Micah, but with Flirt I knew exactly where the idea had originated. I made a note, because one of the most common questions I get is, “Where do I get my ideas?” So I kept notes. Where and when and how I got the idea for the novel. The process of writing it from page count, to how it overwhelmed my muse and me and interrupted another book. I just bought the DEAD AFTER DARK ebook strictly for The Story of Son novella by J. R. Ward, though I look forward to being introduced to the works of Kenyon and the others too. I’ll update this post with my ratings of each story once I finish but I had to just stop and say Author J.R. WARD is Stunningly Unmatched IMO! BDB novels are definitely adult though so don’t buy them for teens and don’t read them lightly. They are not like simple erotica by any means (way too developed for that), nor are they too complex to grasp without intense concentration and mapping like some paranormal sci-fi books. They are just very well developed and intricately, captivatingly written. 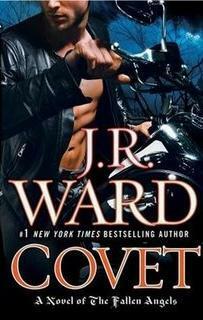 And J. R. Ward is as obsessed with her characters as we are… thankfully. I also can’t wait for her new series COVET releasing this September! This new series builds on the world and characters introduced in BDB including Marie-Therese, last seen working at club Zero-Sum, who will become Covet’s main heroine. We will also enjoy drop-in appearances by the brothers and their shellans, Lassiter and other BDB characters. Indeed, “Angels on Harleys” may well be the only concept that could ever complete with BDB! Keep up with all this great info on the BDB Forum and Yahoo Group! That’s right!! The agelessly scrumptous and galant vampire from Evernight Academy may not get the girl (Bianca will always love Lucas, right?) but he WILL get his own book once the four book Evernight series reaches its close! 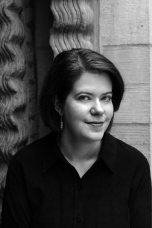 Razorbill signs Richelle Mead (Vampire Academy) for seven more YA books! 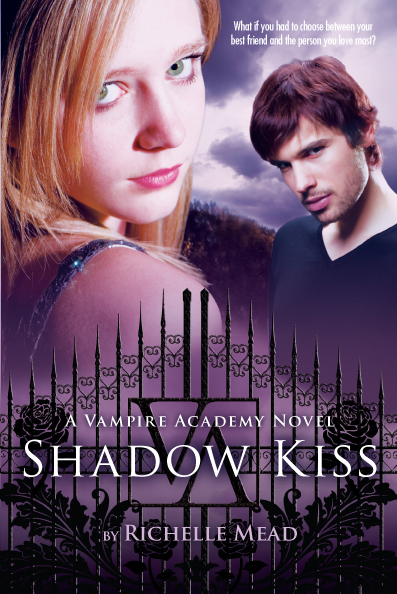 Vampire Academy Mastermind, Richelle Mead, has signed with Razorbill (VA’s publisher) for seven more young adult books. One of those books will be a continuation of Rose’s story. The other six will be a brand new series, possibly with characters from the VA world–but that has yet to be determined. This means the current VA series about Rose will now have six books instead of five. This was particularly excellent news for me because Vampire Academy has become my all time favorite Vampire Romance series this year, knocking out the Twilight Saga (now #2) and The House of Night Series (#3) which were competing for top slot in my Top 5 most anticipated series book releases this year. The other two on my meticulously narrowed list are Vampire Kisses (#4) and Evernight (#5). Interestingly all of these fall in the Young Adult fantasy fiction realm so perhaps I will add another list for Top 5 anticipated Adult Vamp Romance novels without feeling too guilty! If so and in case I don’t I should mention Lynsay Sands would top that list with all the phenominal Argeneau novels! Recommended for: Twilighters and those who think Twilight is too girly or that Edward always has things under control. My hope: That MS might be included in the Official Guide that keeps getting pushed farther and farther back. St. Martin’s Press and L.A. Banks are offering a free short story in the Vampire Huntress series. It’s called Atlantis Rising. download it here along with a free computer wallpaper.